We now have another new Baby Face Fansite. This one was made by Paige (Dollsnstuff). 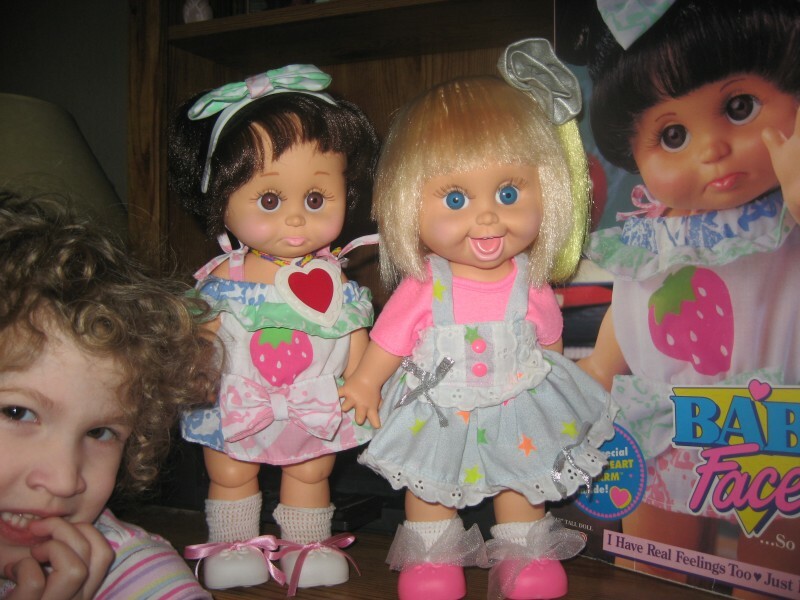 Inspired by Heather, she went to Freewebs and made a site for her dolls. I see Robyn and Beth in this picture from her site, but who is the cute little Baby Face in front on the left? The site Is is still ‘under construction’, but she has made a good start and I think she will agree that it was not hard at all for her to create her site there. There are other free web hosting sites around besides Freewebs, so you don’t have to go to them. You can just Google and you will find many other places to make a free websites. 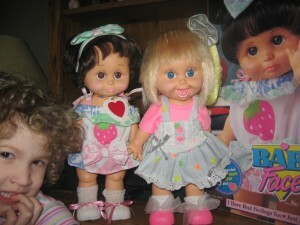 Try them out to see which one you like best and make yourself a Baby Face Fansite too to show off your dolls! Don’t forget to let us know the URL, so we can add it to our links page and don’t forget to put a link to BabyFaceDolls.com on your site too! Here is the link to Paige’s new Baby Face Fansite, so go take a look and sign her Guestbook. Hi Francine! Well it is still a work in progress but I think I fixed the guestbook and added some links:) Thanks for the promo…now I really have to get on it(LOL) Those babies with my Penut in that picture were formerly resisdents at Heather’s house so she has inspired me in more ways than one! I guess I better go to bed before Daddy or Penut wakes up!